It's been a particularly good year for new music, even if my own list contains perhaps more reissues than new releases. The usual disclaimers stating the obvious but pertinent: We were not able to hear all the concerts and discs of 2010. We merely give credit to the ones we geographically, financially or by circumstance were able to lay our ears upon. Happy hunting to all, and an artistically rich 2011. Ten transcendental live gatherings from 2010 in sequential order. 1. CHRISTIAN SCOTT. Yesterday You Said Tomorrow. The revealing and powerful intimacy of a modern jazz worthy of the new decade. 2. MARC BURONFOSSE SOUNDS QUARTET. Face The Music. The contemporary nature of their music, together with the beauty of his melodies, becomes a very interesting proposal of a new jazz, cool and captivating. A young group, very purposeful and fresh; a set of sounds that are sweet to the ear and also an exuberant improvisation. 4. BRANDT BRAUER FRICK. You Make Me Real. The concept based on electronic composition but acoustic, very interesting and creative. Drummer Kendrick Scott rescues the essential elements of jazz tradition and creates new sounds which reaffirm jazz for years to come. A fine and subtle music with contemporary touches which place it on my best albums list. 8. BRAD MEHLDAU. Highway Rider. The harmonic richness of Brad and his dazzling piano jazz is, as always, intimate but very expressive. The clearly expressed electronic minimalism, well-defined concept and revitalization of their sound, exemplified in their song "Black Tick," makes this a disc to hear in 2010. 10. DAFT PUNK. Tron Legacy (Original Motion Picture Soundtrack). A surprising orchestration created by the French group puts them on a new level which explores really interesting new horizons. 11. FOALS. Total Life Forever. Rock much-inspired by the '80s but the use of different rhythmic patterns gives them a unique, forward-looking sound, creating an interesting and fresh atmosphere in indie rock. Hello again. This year's list includes world, avant classical, bird song, and improvised music's - mixed together into a single alphabetical order. Rather than limit the pool to strict dates, I've included the highlights of my own path of discoveries during 2010. You'll notice that some of the music (and the interview) comes from cool websites that have remarkable resources. I hope you discover sounds that bring you great joy! 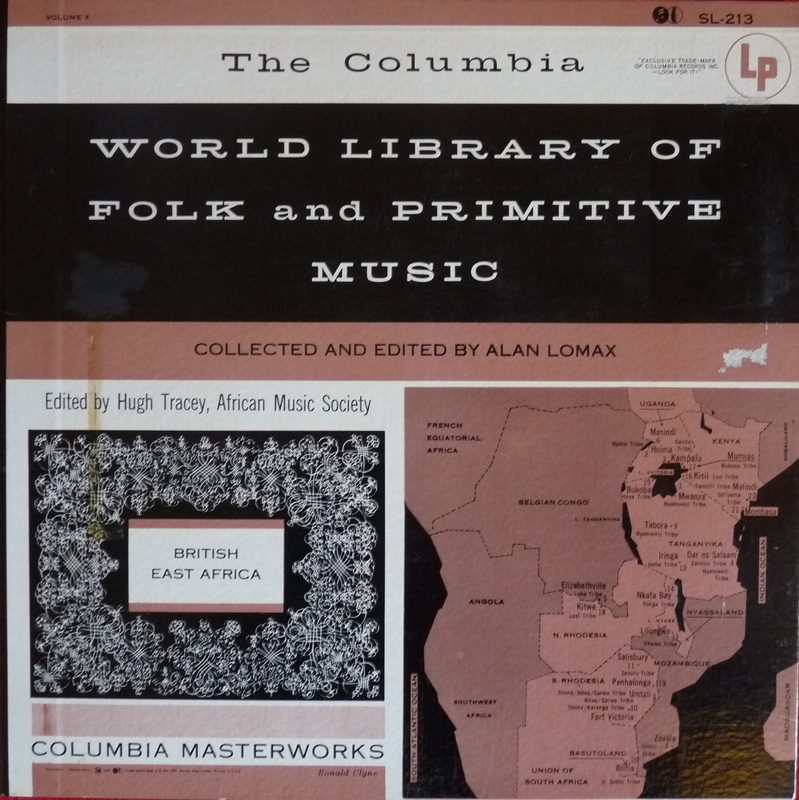 BRITISH EAST AFRICA-Columbia Library of Folk and Primitive Music. INDONESIA. West Papua. Dema - Music from the Marind Anim. Helmut LACHENMANN. In Conversation with Gene Coleman. Stefan NICULESCU. Ison 1a; Ison 2; Echos. A lovely set from Freedom of the City Festival, recorded in London's Conway Hall in 2009. Includes thought-provoking poetic liner notes by Harry Gilonis. Pierluigi BILLONE. 1+1=1. Vienna: Kairos 1260-2. 2006. www.kairos-music.com, allegro-music.com Für zwei Bassklarinetten (2006) 70'02". I missed this when it first came out. Billone is one of the few composers who knows how to write meaningful extended techniques for bass clarinets. He dedicated a piece to Evan Parker, and really understands the achievements of the improvisers. "We have been planing this unique project for a long time: a composition for two bass clarinets as a full evening program. Through intense research Pierluigi Billone has acquired much experience in handling the bass clarinet and is the ideal composer for this task. Billone has an open mind and original thoughts about such a project. His formal conception can open new spaces for the listeners and take them on a exciting journey into the souls of the bass clarinets. The title of the work 1+1=1 is a quotation from an Andrey Tarkovskij film which points to the special relation between the two instruments." BIRDS. Bird Mimicry. London: The British Library Board, NSA-CD-28. 2006. Available from the Online Bookshop at bl.uk This is a terrific collection of birds imitating other bird species, horse neighs, human speech, and a computer modem. Most striking of all is the imitation by a Bowerbird in Papua New Guinea, of ladders, hammering, sawing, ball bearings inside a spray paint can, and Pidgin English speech. BRITISH EAST AFRICA. 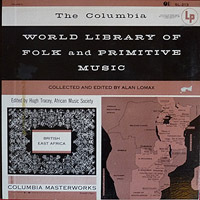 The Columbia Library of Folk and Primitive Music, Vol. 10. Never reissued on CD, this remarkable anthology was edited by the great Hugh Tracey, and includes "Pfeni Ngoma" (on side B at 10:37-11:45), the melody that I believe Albert Ayler heard and adopted for "Bells." The song is from Zimbabwe, which at the time of the song's recording, was Southern Rhodesia. I hope Rounder Records will continue its project of reissuing the Columbia Library series on CD, including this important album. David GORTON. Trajectories. Cambridgeshire, United Kingdom: Metier Records, MSVCD-92104. 2010. divine-art.co.uk David Gorton's first album demonstrates his unique voice, especially through the string quartet "Trajectories," wherein he extends the pioneering work of Giacinto Scelsi into new territory. This is a rich exploration of timbre and small changes in pitch. Check out his YouTube video, with score excerpt. Tim HODGKINSON. Klarnt. Surrey, United Kingdom: ReR Megacorp, ZRTH-3. 2009. www.rermegacorp.com This is a whole album of solo Bb clarinet music. The 44-minute set puts extended techniques to the task of creating a coherent, flowing discourse. This is real music, not grandstanding or experimentation. Maintaining the order of the original performance (there are 11 tracks) has given the album a logic that results in a fun, challenging, and satisfying whole. A fine addition to the solo woodwind catalog. "The Verschueren collection 1962. Anthology of music from West Papua #2. Father Jan Verschueren worked in West Papua as a catholic priest among the Marind Anim from 1931-1970. This CD gives an overview of the recordings he made of their traditional music in 1962. Together with the wax cylinder recordings he made in 1933 these are the only existing recordings of the music accompanying the grand Dema processions, rituals and cults which once formed the highlights of the traditional Marind Anim culture. Digipak with 20 page booklet." "Lachenmann has referred to his compositions as musique concrète instrumentale. Here, Lachenmann implies a musical language that embraces the entire sound-world made accessible through unconventional playing techniques. According to the composer, this is music "in which the sound events are chosen and organized so that the manner in which they are generated is at least as important as the resultant acoustic qualities themselves. Consequently those qualities, such as timbre, volume, etc., do not produce sounds for their own sake, but describe or denote the concrete situation: listening, you hear the conditions under which a sound- or noise-action is carried out, you hear what materials and energies are involved and what resistance is encountered." Lachenmann has consistently explored and elaborated new and innovative musical languages. Using instruments and voices unconventionally, Lachenmann has questioned past assumptions of the function and expectation of music." Stefan NICULESCU. Ison 1a / Echos / Ison 2. Bucharest: Electrecord LP. "Ison II" is a bit of a classic, and appeared on Attacca Records' three-disc Rumanian Anthology. The ison is the drone in Byzantine music. Niculescu scored "Ison 1a" for 14 instruments, and "Ison 2" for winds and percussion. México, D.F. / Mexico City. All in all, not a bad year. In no particular order, it's actually a top 11.5, since the Dave Douglas consists of two separate and distinct discs. Note: I'm usually bemoaning how erratic the quality of music on the Innova label. This year it seems as if I'm under their employ (I'm not). DAVID CARLSON. Anna Karenina. Opera Theatre of Saint Louis, SLSO. Stewart Robertson, conductor. Libretto by Colin Graham. A new opera which, despite erratic vocal writing, is dramatically compelling. Signum SIGCD154, 2 CDs, 72:12 + 67:35, full notes and libretto, qualiton.com, signumrecords.com. SUN RA. Live In London 1970. A particularly squeaky and raucously fun set of, dare I use the word tribal, sets at Queen Elizabeth Hall. Makes me recall Zappa/Mothers recordings from there too. [A feature on the Transparency label is upcoming in these pages.] Transparency 0317, 2 CDs, 70:00 + 46:00. HANDEL: PARTENOPE. New York City Opera. Cinducted by Chrstian Curnyn. The production was excellent overall, but the creamy voice and charming acting of Iestyn Davies as Prince Armindo of Cornith was an exemplor of what countertenors should be like. SHOSTAKOVICH: THE NOSE. Production by William Kentridge. Conducted by Valery Gergiev. Metropolitan Opera. Beautifully sung by all, with amazing use of multimedia, the set all at the service of a story of the absurd. BARRY WALLENSTEIN. Tony's World. Birch Brook Press ISBN 9780978997489, birchbrookpress.info Poet Wallenstein, a contributor to these pages, creates a universe of savory unsavory characters. Read my review in Big City Lit. LA BÊTE by David Hirson. Directed by Matthew Warchus. Music Box Theatre, NYC. Mark Rylance's role and performance were the epitome of a tour de force, but the largely non-speaking David Hyde Pierce was a brilliant straight man, his whole body responding in subtle horror to Rylance's antics. COLLECTED STORIES by Donald Margulies. Linda Lavin and Sarah Paulson. Directed by Lynne Meadow. Samuel J Friedman Theatre, NYC. We knew Lavin was going to be brilliant here, but the surprise was the shading of Paulson's characterization of the writer's mentee; the subtle evolution of her character's strength was mind-boggling. I NEVER SANG FOR MY FATHER by Robert Anderson. Directed by Jonathan Silverstein. Keen Company: Keir Dullea, Marsha Mason & Company. The film leaves me cold; I couldn't imagine a more moving performance than this one. TIME STANDS STILL by Donald Margulies. Cort Theatre, NYC. Laura Linney, Brian d'Arcy James, Eric Bogosian, Christina Ricci. Directed by Daniel Sullivan. Linney and Ricci embodied incredible solid, nuanced personas on which the plot was pinned.